This entry was posted on Friday, December 4th, 2009 at 7:00 pm and is filed under Babies and Children, Cats and monochrome. 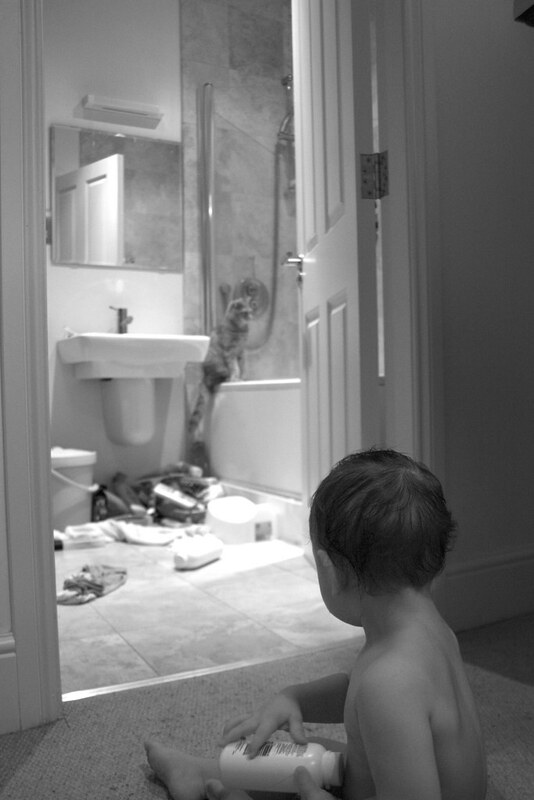 Tagged: baby, bathroom, black, cat, destroy, ginger, kitten, monochrome, photo, photograph, picture, toddler, white, wreck. You can feed this entry. You can leave a response, or trackback from your own site.